Hello. I'm wondering what the best dos/early windows emulator is to use in 2019 because even though i think virtualbox is good, im sure there are better dos and pre-win 3.1 emulators out there. Do you know of any? I guess PCem is what you are looking for? I don't really have much experience with it, but it's an emulator that can emulate PCs from older times, you can also choose which CPU you want to emulate etc. You also have to get some ROMs in order to make PCem work. You can find a lot of information about all this stuff around the web. I find 86Box by Battler to be both easy to use and powerful. Like PCem, 86Box also requires ROMs, which are available from a link in the readme. Its developers are also active BetaArchive members and I find them much more friendlier and enthusiastic compared to certain members of other emulator developer teams. Alright. I will try them and see how good they are. 86Box without a doubt. Along with the launcher app, it's the best thing money can't buy - it just works. Configure anything from an IBM PC to a Pentium Overdrive with whatever add-on controllers you have a ROM for, and it just works. Figuring out how to load an ISO or disk image, however, isn't obvious - once the program starts, look at the bottom left of the window, and all those questions are answered. Took me something like a week to figure that out - none of the documentation seems to inform the user on how to load your software into it. But, now you know! 86Box. It's great. It can be a bit complex to set up, but once you do, it's worth it. Figuring out how to load an ISO or disk image, however, isn't obvious - once the program starts, look at the bottom left of the window, and all those questions are answered. Took me something like a week to figure that out - none of the documentation seems to inform the user on how to load your software into it. But, now you know! It's interesting that all major hypervisors - Virtual PC, VirtualBox and VMware - also allow the user to right click the drive icons to load an image and nobody seems to have a problem with it. Or maybe just nobody knows about this useful shortcut? I started writing a tutorial of sorts, which explains this among other things, but haven't got around to finishing it yet, unfortunately. If you can set it up, I'd use 86Box. VirtualBox is certainly not recommended for early Windows builds (pre-95). PCem is not as good as 86Box because the design is terrible. You could also try QEMU for some old OSes especially early betas. Microsoft VPC does a good job at running old Windows and DOS. Microsoft VPC does a good job at running old Windows and DOS. Unfortunately it won't run properly on OSes newer than Windows 7 I think. For pre-95, 86-Box is the way to go. 95 and later, VMWare. VPC anf 86Box for pre-XP. VMware and VirtualBox are not good for running 9x. I'll agree that VirtualBox is garbage. There are 2 floppy icons at the bottom and that is how you select your floppy disks in 2.00 and I just found out). Considering that several people have had this same problem, I can't help but wonder why. You mention VirtualPC, VMware and VirtualBox. They all use this same design, so one would think people would be familiar with it by now. That's why 86Box uses it as well. This is an honest question by the way. We've been baffled by this phenomenon for a while now, because we thought if you know how to mount images in VirtualPC etc., you should know how to mount them in 86Box. Clearly this isn't the case so as I said earlier the tutorial I'm working on is the first step at improving the situation. I've been using 86Box 1.00 for too long and I only know Disc --> Change drive *. 86Box 2.00 is alright but it is hard switching from the familiar 1.00 and 1.06 for me (and I still can't figure out how to add an ISO). I did use VPC for some time but I am mainly on VMware, QEMU and 86Box 1.00. Well VMware has the same thing, a bunch of icons in the status bar at the bottom of the window that you can click on to bring up a menu. If you want to mount a CD there, you click on the CD icon, and use the menu option for mounting CDs, then select the file. It's the same thing in 86Box. It's not some new UI concept, all three major hypervisors have been using it for ages. There is one program / OS I've been trying, where to date all of the various mechanisms I've attempted be it Hypervisors (VMware, VirtualBox, Parallels), or Emulators (DOSBox, PCem) have failed. I can't recall if I've tried 86Box (I think so, but would have to check), and so my next port of call it to try compiling up Bochs, and give it a go. The issue here I believe is a combination of timing, accurate and correct handling of the various forms of 286 segmentation, including conforming segments; together with full emulation of the PICs (the rotating EOI mode? ), and using the RTC as a clock source. The code in question has timing loops, and uses the PC hardware in ways most others don't, as it is the OS panics shortly after start up. Last edited by dfawcus on Sun Apr 14, 2019 11:03 am, edited 1 time in total. Although typically not an emulator, I am quite content with DosBox. If I wanted to really delve deep into emulation, I'd use qemu or bochs, but preferably qemu as I can run different architectures on my Intel machine. Quite slow to say the least, but it's powerful. I'm surprised that no one mentioned vDos and its offshoot vDosPlus. While not technically emulators, they are capable for running most* text-based programs you need (but not Windows) on the go, without the hassle of installing and configuring the OS. The vDosWP system for one runs Wordperfect on x64 machines using this. *very old programs that expect a floppy drive will be having trouble since vDos doesn't provide any. I guess you need to enable a CD drive in BIOS first? And then of course you need to load the drivers (in TWO places). 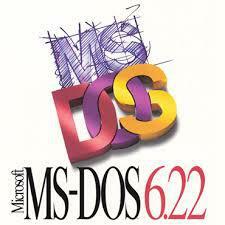 DOS is such a pain sometimes, I wonder how we managed to live with it in the old days! Many of the BIOSes I tend to use will autodetect the CD drive with no configuration necessary, but of course it depends on the BIOS. You do need to configure the CD drive in the 86Box settings, yes, but it's not that big of a deal. And every OS needs a CD driver for it to work, the modern ones just install it for you. And this is all part of the one-time initial set up procedure anyway. You don't have to do this every time you want to use the CD drive. VirtualBox can run Windows 1.0 Beta and Windows 1.0 Premiere Edition, Windows 3.00.14 Alpha - Windows 3.00 RC 6. VirtualBox can run some 95 Beta. VirtualBox is petty good for some older software. Same as VMware, they are all hypervisors. VMware sometimes works better and the UI is more friendly. I recommend VMware Workstation if you have the money, it is way better than player and VirtualBox. My brief tutorial for 86Box is now available here, though not all pages are done yet. It does explain the main window, though, including the icons. Hum, is there one for 1.00 and 1.06? For some reason, I thinks the UI of those versions are more friendly. The biggest downside of 86Box 2.00 - Upgrading from 1.00 or 1.06. You should also include how to configure BIOS settings. Maybe include how to enter BIOS on different machines. Also, is there a way to edit the NVR files manually? I have trouble using my keyboard in BIOS (none of the keys work) I can't even configure a hard drive... I will have to setup BIOS in 1.00 and copy over the NVR file to 2.00.